With this product, you earn 31 loyalty points. Trussardi Riflesso deodorant stick features a refreshing formula, making it ideal for the bodily needs of the active man. Designed to prevent your body from perspiring, it keeps skin fresh and clean all day long. 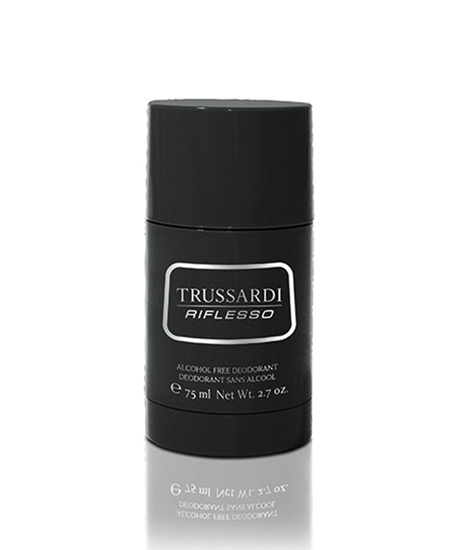 This stimulating and rejuvenating deodorant envelopes your body in the woody oriental scent of the Trussardi Riflesso fragrance.